Happy Spring to everyone! Today, I wanted to share with you all a new project created with the beautiful Jellybean kit. This kit has the most beautiful papers from Bella Blvd.’s Make the Mark collection, as well as Paige Evan’s Oh My Heart collection, and it is full of embellishments that complement the papers. We all have special ways to mark the height of our kids as they grow. My choice has always been to photograph them against a fixed reference. Last summer as we took the littles (my niece and nephew) to the fair, they all had to be measured before going on the rides. Finally my daughter (now 14) reached the adult height requirement, and the littlest also reached the height to be able to go on the rides. To mark this growth spurt, I simply photographed their bracelets showing the milestone. I was drawn to the words on the Impossible paper from Bella Blvd. -included in the Jellybean kit-, and I knew the title was going to be formed by fussy cutting the words out. Aren’t the colors in the Jellybean kit just amazing? I hope this has inspire you to find a creative way to capture your kid’s growth, and a fun way to document it, too. Remember that you can find all the details on this kit, and add ons on the Clique Kit Store -there is always new goodies available at the store-. 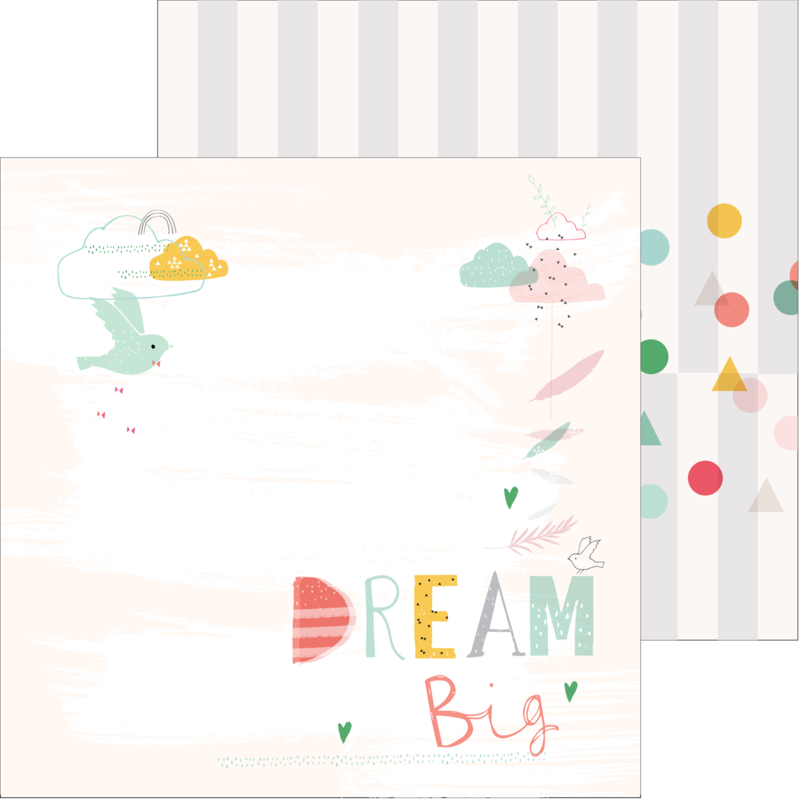 Categories: Yearbook | Tags: April kit, Bella Blvd, cut file, design team, fussy cut, Jellybean kit, Make your Mark collection, Nathalie DeSousa, silhouette store | Permalink. I am always tempted to use scrapbook paper whole, the way the designer and manufacturer has intended. 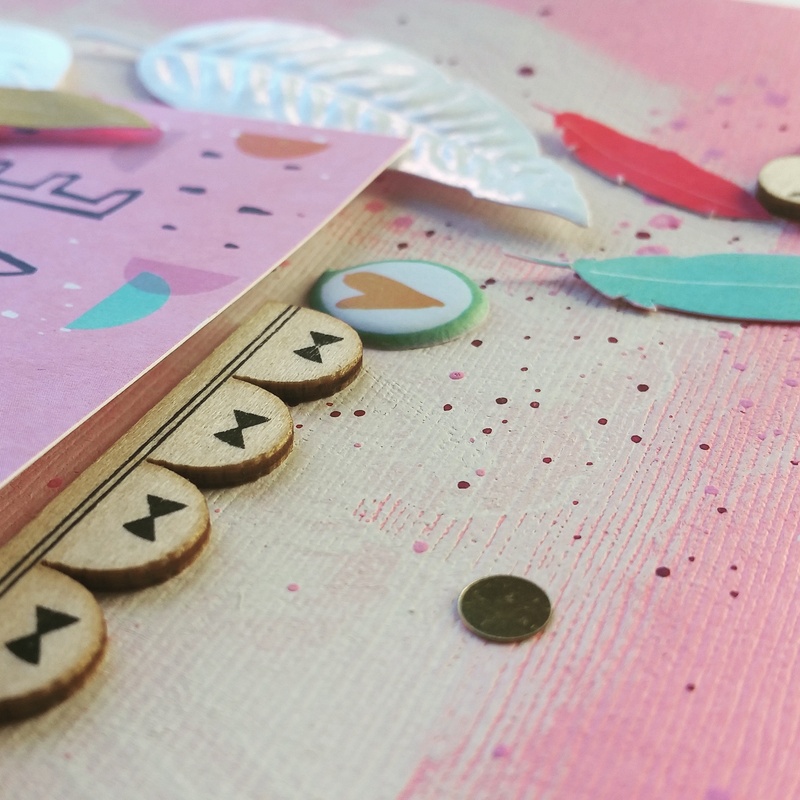 This paper from Pink Fresh Studio in the October Funfetti kit is so beautiful on it’s own, the soft clouds, the delicate feathers and especially the words of encouragement! The snapshot I wanted to use, in my opinion, too dark for the original lighter background ‘dream big’ paper. So I wanted to recreate the paper by taking all the elements from the page I adore and rearrange all the parts to work with another background. Here they are side by side so you can see where the elements came from. I wanted the feathers to be trailing like before and also added a couple more from another paper in the kit. Fussy cutting the word ‘Dream’ was easy but I substituted the ‘big’ for the matching sticker in the kit. I did take some inexpensive craft paint and whitewashed the background before attacking the layout. It’s a great trick to use that will lighten any background paper. 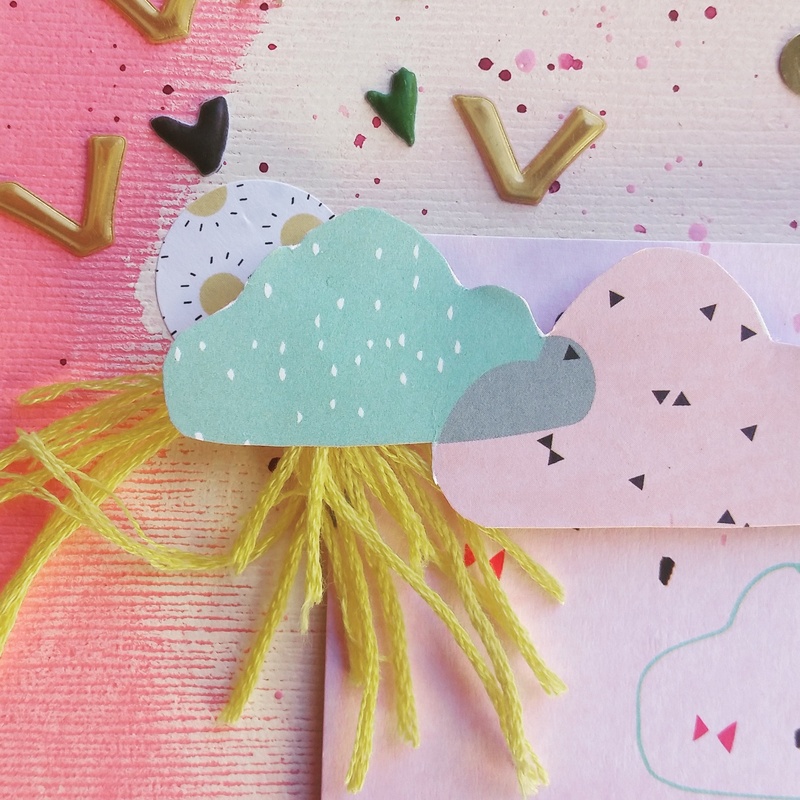 I gave the Crate Paper tassels a trim to make my rays of sunshine behind the clouds. Adding height really gave it dimension. Fussy cutting is indeed time consuming, but I think totally worth the effort! Categories: Locker Room | Tags: cliquekits, crate paper, fussy cut, kim Oedekoven, pinkfresh studio, scrapbooking | Permalink.